I’ve been wanting to document my home and homelab network for a while now. I used to keep some individual files around with a list of ip addresses and networks, and I used to have a yaml file with the network laid out. But a lot of it was out of date and any time I made a significant change (like adding vlans or tagged interfaces), the entire format would need to change. I’ve also been planning to redo how my network is laid out and realized I would have to document everything before I could really work on the new scenario. But overall, these projects have been at the very bottom of the list, kind of kicked under the rug. This weekend, I got a big itch to go back and figure out how everything was laid out physically, and document it. I decided I just wanted to grab a tool, even if it wasn’t the ideal do everything tool, and start recording things. So Saturday night and early Sunday morning, I started re-researching network documentation tools. I was pretty dissapointed by what I found, at least in the open source world. Let me explain my home network setup. I have the house, my batcave/office, and a shed. These all are networked together, and each building has a managed switch in it. I have cable internet coming into the house. From the comcast router, a wire goes into a managed switch on a “public” vlan. My gateway router sits in the batcave is also plugged into a managed switch on the same vlan. I have 4U wall-mount racks holding patch panels (and/or switches) a 40U rack in my batcave holding the gateway router, a switch, and a couple servers. I also have some unifi access points spread around the property. Record the connection between each device. Spoiler Alert As you can guess from the title, I ultimately installed openDCIM and used that. It doesn’t meet all of my needs, but I’ll explain my reasoning below. After searching, I came up with there being several categories that touch upon these areas. They are 1) asset/inventory management, 2) network scanning and monitoring. assume the “M” stands for “Monitoring”. openNMS looks excellent for what it does, and I will probably use openNMS down the road for my logical network documentation. But for what I wanted to do, openNMS and applications in this category are not designed to physically lay out hardware. There was nothing in openNMS about rack elevations or cable connectiosn that I could find. I even found people in forums looking for a way to integrate openNMS with Racktables (mentioned below). Like I said, looking at applications in this category made me want to further separate my goals to target the physical layout. Some software can do live polling of switches to see what MAC addresses are connected to a port, and things like lldp will show friendly neighbor names. But it can’t tell that there is a patch panel or unmanaged switch in between. The only way to get this information is visual inspection. I need an application that can do that. cable path management. The two I looked at the most were RackTables and opendcim. A third one I looked at was Ralph. Ralph: Let me just talk about Ralph for a moment. I looked at Ralph two years ago for a larger project at work, and it was disqualified for a number of reasons, specific to that project. That experience gave me a negative view of Ralph, and I didn’t give it too much looking over this time around. That may have been unwise. I took a second look while writing this up. If you look at their documentation, they seem to have all the features I’m looking for here, along with an API. It’s based on python/django, and their github is pretty active. I think I owe it to Ralph to install and review the software again. A lot seems to have changed over the last two years. UPDATE: I went and played with Ralph’s demo. Very slick addings datacenters, server rooms, racks, and devices. If I go to add a device, I can create a new device template and manufacturer on the fly. However, it has no support for cable management. There is an ongoing issue opened for this. So even though I didn’t give Ralph a fair shake, it’s out of the running for right now because it can’t do links between interfaces. Racktables: I’ve used racktables off an on over the years. Quite frankly, it’s just not nice software to work with. Data entry is difficult, it has no native api support (though some people have worked at bolting some on), and in my mind, it’s a one-way system. You put the data in and that’s about it, you can only visually access the data afterwards. On the plus side, it does have some IPAM and VLAN management features, so for those looking to do more than physical layout, Racktables has quite an advantage. openDCIM: Finally, we come to openDCIM. Like Racktables, it’s php/mysql based. It has a rather nice interface for creating datacenters, cabinets, and devices. It understands about chassis and blade setups. It has a baked in read-only API. These days, my philosophy on web apps is that they should build an api, and then a frontend that uses that api. But this app pre-dates the popularity of APIs, and they have been adding it on afterwards. I would have been turned off by the lack of writeable API, but their existing html forms are basic enough that you could easily manipulate them with curl or python. If I really needed to update the data programatically, I am sure I could do so. But being able to run a curl command and get data back in json, means that I can easily integrate this with other tools down the road. Ultimately, I decided I didn’t want to waste this motivation trying to seek out other tools and went with openDCIM. My goal for Sunday was to record what I could about the system. uploaded my vagrant config to github, so you can clone that and start your own instance right away. For me, I called my batcave one datacenter, and my house another. Then for each room, I made that a cabinet. In my basement, I have a 4U network rack on the wall, and a rack shelf also screwed into the wall (holding my synology and my comcast router). I called my shelf a 10U rack. Then for each room that has a wall jack and any equipment (like an access point) I wanted to track, I created an imaginary rack. I’ll talk more about that in a bit. Now, at work, we use rack names like R01 or NP01 or A54. At home, I used highly technical names like “basementwallrack”, “tvstand”, and “batcaverack”. Pick a naming scheme that works for you. 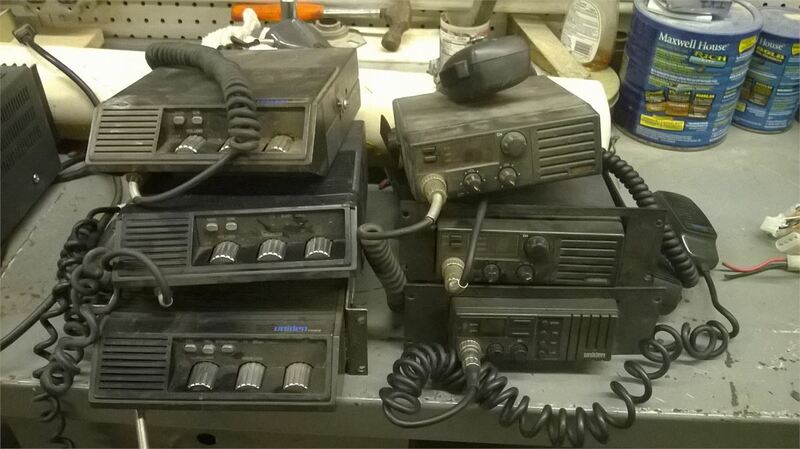 images of the front and back of a device, you can include those to make your rack elevations look more accurate. runs that are carrying 24V POE. One useful to do when making templates is to go down to the Ports and rename them to things like “eth0”. For my access ports, I made “LAN” and “WLAN” ports. For the POE injector template, I put “LAN” and “POE” as port names. You can always rename ports when you create a specific device to put in a rack, but the better your template, the less work later on. Also, the device type is important. Most of the types (servers, storage arrays, and appliances) all work the same way. Physical Infrastructure does not have any ports. Patch Panels are unique in that each port ends up having a front and rear connection. each wall-mounted network rack. I had to get creative for the wall jacks, and I made either 1-port or 2-port RJ45 keystone jacks (RJ4KJ1 and RJ45KJ2). When connecting patch panels (or wall jacks) make sure that you connect the rear of one patch panel to the rear of another. When editing a port, you can “connect” the front and rear side of the port at the same time. So you can connect the front of the patch panel to a switchport, and the back of your patch panel port to the back of a wall jack, and then hit save. I found that saving connections seemed straightforward, but was easy to make mistakes. After you have entered each row and clicked save on it, you need to hit “update” to save all of your changes. Also, if you don’t save your rows before hitting update, your changes will be lost. I also found that once I linked two ports, I could no longer change the name of the ports. Once you make connections, you can see the entire path in an image form, or in a text description like this; SW02BATCAVE[Port4]BATCAVE-PATCH24[Port4]BC2[BC2-2]FRESHDESK[eth0]. As for IP addresses and multiple interfaces, this was sadly lacking. I could enter a management address for a device. On the ports, there is a notes column. I could add an ip address or a vlan bit there, but it’s simply a free-form field. snmp When adding switches, if I added an ip address, I could query the switch with snmp. On my tp-link switches, it was able to get basic system information over snmp, but it could not get a list of ports. If it had, I believe it can populate some port status information. As I mentioned above, I had to make imaginary racks in each room. The imaginary racks were sort of a pain point for me. I get that this program was written with racks in mind. The concept of a freestanding device such as a celing mounted access point, a wall jack, a printer, or a desktop tower just really doesn’t factor in. The idea is that you have racks, and only devices that are in a rack can be cabled. This also impacted how I made wall jacks. A single port wall jack, I had to enter as a patch panel, 1U in height. If a device does not have a U-height, you can’t add it to a rack. And if you don’t add it to a rack, you can’t cable it. So, in order to document the RJ45KJ1 and RJ45KJ2, I created two 10U racks in my living room. “TVSTAND” with a 1U RJ45KJ1″ and “LRCOUCH” with a 1U “RJ45KJ2”. For TVSTAND, I added my tp-link unmanaged switch, my UAP-AC-PRO, and (for fun), my Chromebox. The switch connects to the front of the RJ45KJ1. The Chromebox connects to the unmanaged switch. 24VPOEINJECTOR appliance template, which I used to create a (1U) device to place in my imaginary rack. One port (LAN) connects to the switch, while the other (POE) connects to the access point. For my living room, since the POE lives with the access point, this isn’t really needed. But for the access point in the hallway, the poe injection takes place in the basement, and we have a 1000BaseTX running from the switch to the injector, then 1000BaseTX-POE24V running to the front of the patch panel, then from the rear of the patch panel, to the keystone jack in the wall, and finally up to the access point. I have a similar setup in my batcave, with a POE injector powering an external access point, and another (48V!) 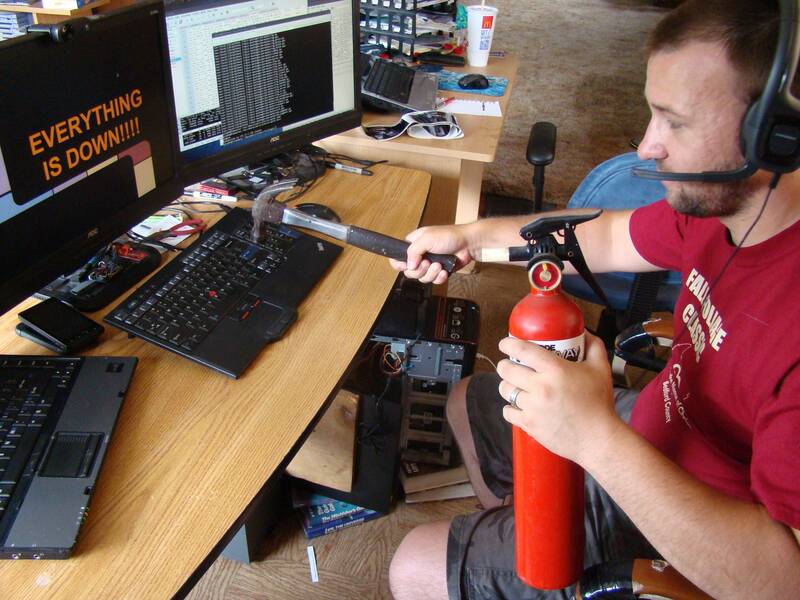 powering an ip phone. While POE is supposed to be safe for non POE devices, I think it comes in handy to document which wall jack I can expect to find power at. This about wraps up my experience. Over the course of a Sunday, I was able to get openDCIM up and running, and enter all the data that describes the physical layout of my network. I would love to be able to wire up freestanding devices in a data center, and I would like to assign ip addresses and vlans to individual interfaces. But for physical layout and inventory, it works really well. I suspect that another application like openNMS will have to track my logical network. If it can be configured to query my switches (snmp/lldp), then it would be a better live solution. Ralph might be a good system for handling this aspect as well, though that requires further investigation. Once all the data was in, I was able to do curl commands and retrieve json. Since references to other devices were id numbers, a true fech and sync would need to make multiple calls, retrieving related records. For visualization, openDCIM has a reports feature, including a network map. This network map is generated using graphviz dot language, and it can output that in png or svg. The default generated map is a bit difficult to trace lines from port to port. But I took the dot file, changed splines to ortho and it came out much nicer. I think there’s room for improvement here, and I think with some tweaking, we can make a really nice printable network diagram to hang up next to each rack. Another feature that might be nice would be printable asset labels, that have a QR pointing back to the opendcim instance. With the API, I could definitely see writing a script to pull and generate these. I used mysqldump to backup my data and I can run this like an application, though I plan to put this on a VM. My next goal (in this category) is to create an ansible role to install this on one of my virtual machines and give it an always on life. This year, I have made a few new resolutions. One of them is to write more blog posts. This post is the first step towards that. Rather than just naming off a few common resolutions, I spent a couple days working through the exercises in Alex Vermeer’s 8,760 Hours: How to get the most out of next year. In my opinion, this is an excellent book. The author and myself used mind-mapping software, but this is also very doable using pencil and paper. I did end up using Mindjet MindManager (trial) for mind, but I am going to switch it over to FreeMind. MindManager is (in my opinion) much more expensive than I anticipated and I can’t justify the cost. I’ve used Freemind in the past and found it adequate. You spend a good bit of time making a snapshot of “where you are now”. You don’t have to follow his guide exactly (I didn’t, it is in fact, a “guide”), but you start with breaking your life down into 12 areas and adding details for each area. Some areas will be hard numbers or metrics, such as how much you have saved for retirement, or how much you weigh and what you think your goal weight should be. For instance, I did 7 blog posts in 2015 and only 3 in 2016. Others will more thought provoking like “what fun things have I done recently?” or describing your home life. As you can imagine, the life snapshot is going to be a pretty personal thing, not something you’d want to share out. But it does make you think about your life as a whole. It’s also nice to have some of the metrics that you can compare to when next year comes around. Once you have built the snapshot, the second portion of the exercise is to actually set your goals. Much like making your current snapshot, Alex recommends splitting your goals into “life areas” and organizing your goals under each section. You should also give thoughts on how you might go about accomplishing these goals and add details underneath each goal. You don’t have to make a full detailed plan. This “goal map” is going to be something that you can save or print out and refer to during the year. The entire thing should fit on the equivalent of one page and you would be able to see all of your goals and ideas towards accomplishing them at a glance. You can always use other specific tools to draw up a budget, record your diet, or design a sail boat as you work towards your goals. Finally, the author recommends doing both monthly and quarterly reviews of your goals. Ask yourself if you’re on track. Some goals may be more important than others. My goal to get my credit card balances back to $0 (and pay them off each month) is more important than my goal to build out 3 APRS stations and replace the 2nd garage door on our pole barn (it has been disabled/nailed shut since we moved in). 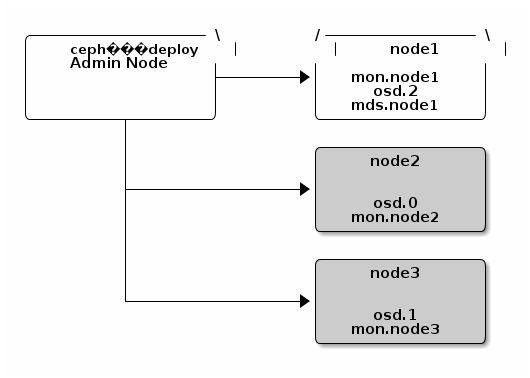 Ceph OSDs: A Ceph OSD Daemon (Ceph OSD) stores data, handles data replication, recovery, backfilling, rebalancing, and provides some monitoring information to Ceph Monitors by checking other Ceph OSD Daemons for a heartbeat. A Ceph Storage Cluster requires at least two Ceph OSD Daemons to achieve an active + clean state when the cluster makes two copies of your data (Ceph makes 3 copies by default, but you can adjust it). Monitors: A Ceph Monitor maintains maps of the cluster state, including the monitor map, the OSD map, the Placement Group (PG) map, and the CRUSH map. Ceph maintains a history (called an “epoch”) of each state change in the Ceph Monitors, Ceph OSD Daemons, and PGs. Ceph uses the Paxos algorithm, which requires a consensus among the majority of monitors in a quorum. With Paxos, the monitors cannot determine a majority for establishing a quorum with only two monitors. A majority of monitors must be counted as such: 1:1, 2:3, 3:4, 3:5, 4:6, etc. Side note: some ceph docs advise not to comingle Montior and Ceph OSD daemons on the same host or you may encounter performance issues. But in deployment guides and the Mellanox high performance paper, they do comingle them. For all test purposes, I plan to comingle them (deploy monitor on ecs nodes) and evaluate performance under load. I am also still trying to estimate how many monitors per Ceph OSD. We’ll have 480 Ceph OSDs per rack, and we’ll want either 3, 5, or 7 monitors. I’m going to take a shot in the dark and go with 5. RADOS GW This is what provides the S3 and SWIFT API access to Ceph file storage. You can install this on the OSD nodes (simplest) or select a handful of external VMs to run these. You would setup multiple RADOS GW nodes, and place a load balancer like haproxy or nginx/lua_proxy in front of them. OSD Journal Location: stores a daemon’s journal by default on /var/lib/ceph/osd/$cluster-$id/journal – on a ECS node, this would be an SSD, which is recommended by CEPH. However, you could point it to an SSD partition instead of a file for even faster performance. The “location” of each Ceph OSD is maintained in a CRUSH MAP. CRUSH maps contain a list of OSDs, a list of ‘buckets’ for aggregating the devices into physical locations, and a list of rules that tell CRUSH how it should replicate data in a Ceph cluster’s pools. By reﬂecting the underlying physical organization of the installation, CRUSH can model—and thereby address—potential sources of correlated device failures. Typical sources include physical proximity, a shared power source, and a shared network. By encoding this information into the cluster map, CRUSH placement policies can separate object replicas across different failure domains while still maintaining the desired distribution. For example, to address the possibility of concurrent failures, it may be desirable to ensure that data replicas are on devices using different shelves, racks, power supplies, controllers, and/or physical locations. The short of this is that in ceph.conf, you can define a host’s location, which subsequently defines the location of each Ceph OSD operating on that host. A location is a collection of key pairs consisting of Ceph predefined types. Each CRUSH type has a value. The higher this value, the less specific the grouping is. So when deciding where to place data chunks or replicants of an object, Ceph OSDs will consult the crush maps to find other Ceph OSDs in other host, chassis, and racks. The fault domain policies can be defined and tweaked. https://www.mellanox.com/related-docs/whitepapers/WP_Deploying_Ceph_over_High_Performance_Networks.pdf – High performance ceph builds. These are just some notes I took as I did my first run through on installing Ceph on some spare ECS Hardware I had access to. Note that currently, no one would actually recommend doing this, but it was a good way for me to get started with Ceph. The first ‘caveat’ was that it tells you to configure a user (“ceph”) that can sudo up, which I did. But ceph-deploy attempts to modify the ceph user, which it can’t do while ceph is logged in. [rain02-r01-03][DEBUG ] Setting system user ceph properties.. I will setup sdaa, sdab, and sdac. Note that while I could use a separate disk partition (like an ssd) to maintain the journal, we only have one ssd in ECS hardware and it hosts the OS. So we’ll let each disk maintain its own journal. Repeat those steps for each node and disk you want to activate. Could you imagine doing 32-48 nodes * 60 drives by hand? This seems like a job to be automated. I also noticed that the drives get numbered sequentially across nodes. I wonder what kind of implications that has for replacing drives or an entire node. After creating all this, I can do a ceph status. That page recommends that for 5-10 OSDs, (I have 9) we set this number to 512. I’m defaulted at 64. But then the tool tells me otherwise. I’ll put this down as a question for later and set it to 128. This does nothing, so I learned what I really need to do is make more pools. I make a new pool, but my HEALTH_WARN has changed to reflect my mistake. There is also a pgp_num to set, so I set that to 128. Now everything is happy and healthy. And I’ve only jumped from 306MB to 308MB used. You can place objects into pools with rados command. Ceph does not provide a quick way to install and configure object storage gateways. You essentially have to install apache, libapache2-mod-fastcgi, rados, radosgw, and create a virtualhost. 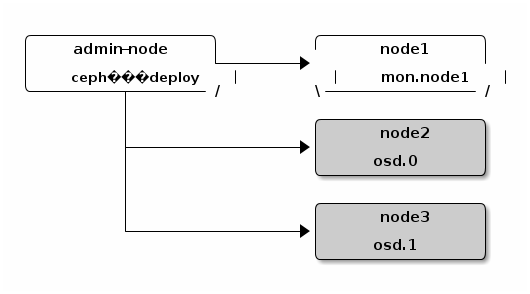 While you could do this on only a portion of your OSD nodes, it seems like it would make most sense to do it on each OSD node so that each node can be part of the pool. After steps 1-5 (creating and distributing a key), you need to make a storagepool. Creating domain “*.rain.osaas.lab” for this instance. I also had to create /var/log/radosgw before I could start the radosgw service. Next, you go to the admin section to create users. Or specify a key like we do in other environments. Fun fact: You can set quotas and read/write capabilities on users. It also can do usage statistics for a given time period. (configurable) to the url. You can give any S3 user admin capabilities. It’s the same backend authentication for both. I also confirmed that by installing radosgw on a second node, all user ids and bucket was still available. Clustering confirmed. When it comes to automating this, there are several options. Build our own ceph-formula up into something that fully manages ceph. It will do what we want it to. Our current ceph-formula currently only installs packages. Refactor public ceph-salt formula to meet our needs.